A VERY RARE FIND! View pictures to grasp how beautiful it is. 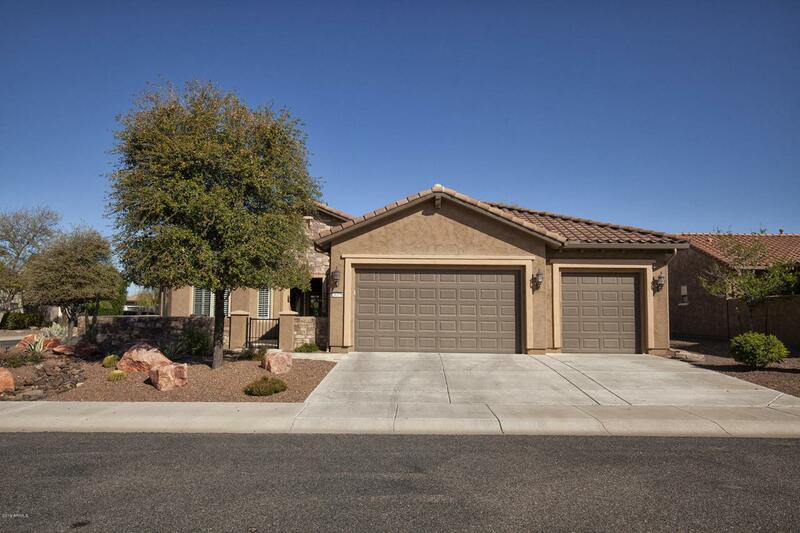 Kitchen amenities: upgraded cabinetry, Glide-out lower shelving, all Granite counters, Tiled back splash, Gas range top, R/O, under counter lighting, center island, SS appliances. Other amenities: 2 Master bedrooms w/ walk-in closets, 3rd legal bedroom/den, diagonally cut 20'' floor tiles, multiple ceiling fans, 10' ceilings, 2 fireplaces: Great Rm & Patio, Plantation shutters, large Mstr Bath w/ split sinks, LARGE walk-in closet in both Mstr suites, joint full guest bath rm / powder rm, outstanding laundry rm/ W/D convey. 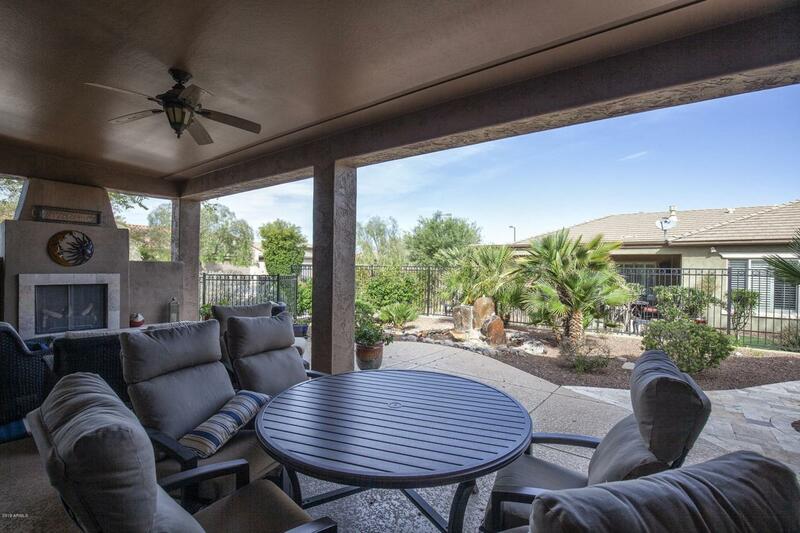 Fabulous back yard w/ water feature & Travertine tile (both front & back), large Fenced backyard too. 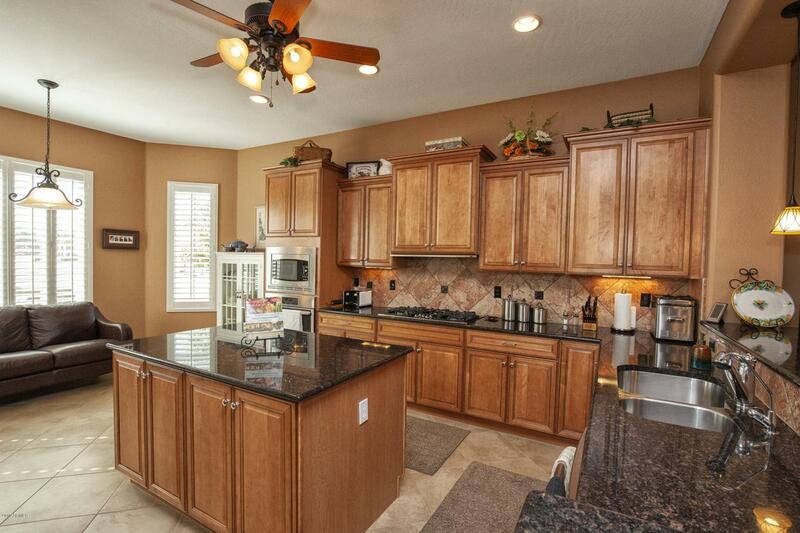 3 car garage & cabinetry, soft H2O owned, Epoxy floors. A Gift: 1 year Home Warranty starts at Close. 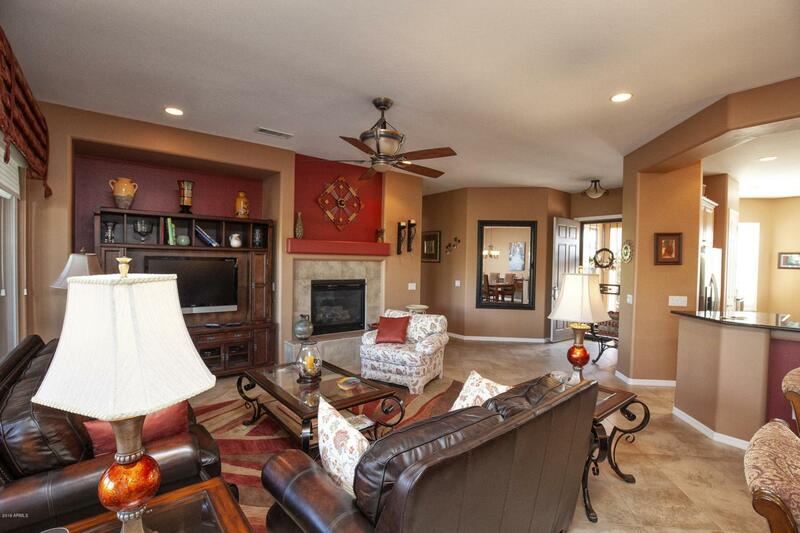 Listing courtesy of Arizona Buyers Realty.